French law requires that a local commission for information (CLI) be established every time a nuclear installation is created. A CLI is an independent body that acts as an interface between the installation's operator and the public. It is composed of representatives from local government, environmental groups, trade unions, businesses and health professionals. A CLI can request from the operator any documents it deems necessary, or call on independent laboratories to proceed with environmental and health investigations. The CLI must be consulted on any new project undertaken in the scope of the installation's evolution. The ITER CLI was established in December 2009. 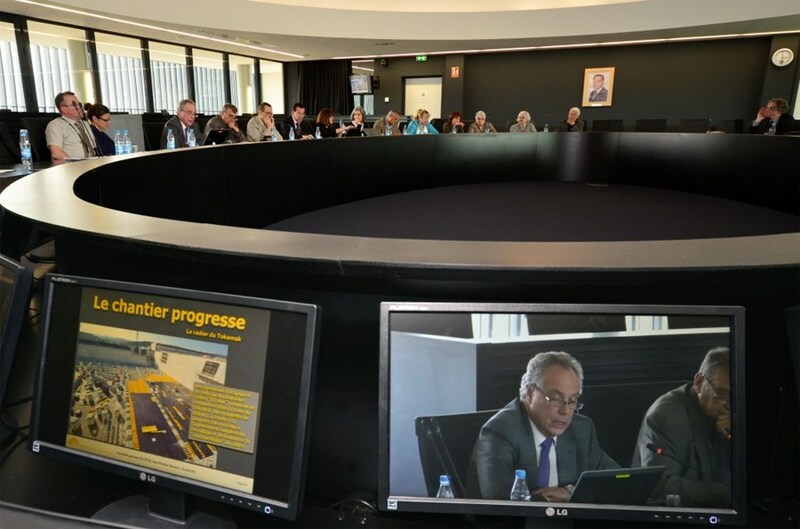 Last Thursday 11 April, its 42 members held their biannual general assembly—for the first time in the Council Chamber on the 5th floor of the ITER Headquarters. 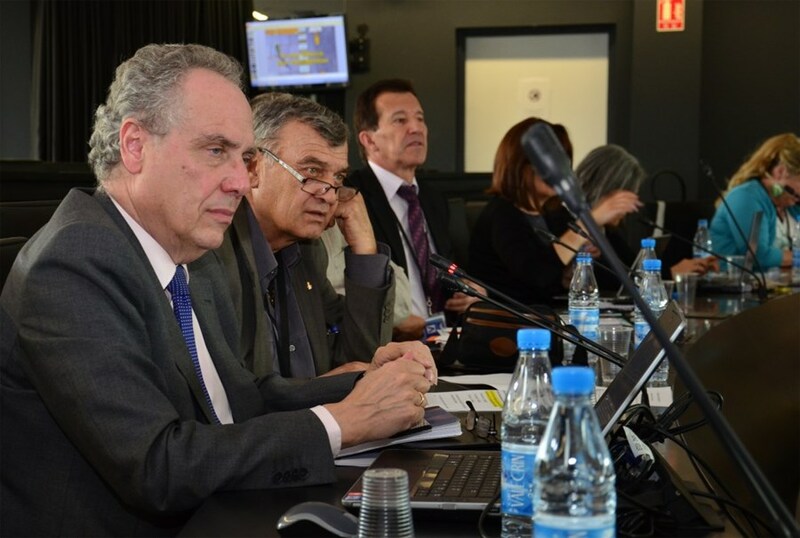 The general assembly of the CLI provides an opportunity to discuss the present status of the project and its expected developments, which are traditionally presented in French by ITER Deputy Director-General Carlos Alejaldre. From left to right: DDG Alejaldre, CLI President Roger Pizot (mayor of Saint-Paul-lez-Durance), and French Nuclear Safety Authority representative Christian Tord. 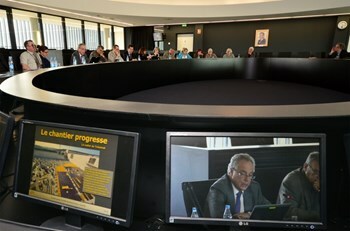 DDG Alejaldre's presentation featured the important events that have occurred since the last general assembly on 3 December 2012 such as the inauguration of the ITER Headquarters and the signature of a convention with URSSAF, significant progress in construction including the beginning of foundation works for the Tokamak Complex, Procurement Arrangement signatures (representing at this stage 82 percent of the total project value), and contracts and fabrication. Of special interest to the CLI members were the figures of the economic benefits that ITER has already generated: as of the end of December 2012, companies based in the PACA region have benefitted from almost one billion euros (EUR 927 million) in contracts awarded by the ITER Organization, the European Domestic Agency Fusion for Energy, and Agence Iter France. Although more difficult to calculate, the economic benefits to neighbouring towns and villages resulting from the presence of 452 ITER staff (as of February 2013) and a similar number of direct contractors, experts and consultants, are also considerable.